Old Car Memories > Commentary > Dude, Where’s My Car Interior Space? Cars have made some very impressive technological advances in the last thirty years. The transition from everything running on a car via basic electronics and mechanical parts has evolved into sophisticated on-board computers running and managing everything. Horsepower is way up from thirty years ago. 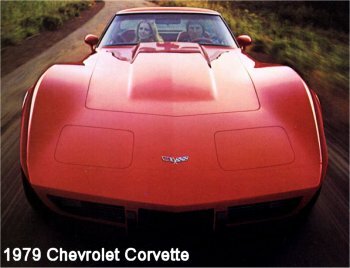 Anything having more than 170 horsepower back in 1979 was considered high-performance. Today many cars have engines that make over 170 horsepower, including run-of-the-mill family sedans. Most cars went 0-60 mph in well over 10 seconds back then. Today most cars go 0-60 mph in under 10 seconds. This is especially impressive considering the average engine displacement size is much lower than it was thirty years ago. Handling has improved greatly. A 2009 Toyota Corolla obtains a .79 g in the skidpad test, which is on par with the skidpad numbers of the 1979 Chevrolet Corvette. Braking has also improved greatly. Most cars thirty years ago had front disc brakes and rear drums. Today many cars have four wheel disc brakes. And with anti-lock brakes (which were not around thirty years ago) now standard equipment on most new cars, panic stops are much easier for most drivers to handle. Aerodynamics has greatly improved over the last thirty years; cars today no longer punch through the air, they glide through it. How about in the area of car interiors; has there been progress there? There have been some great strides in this area in the last thirty years. The flat seats and rectangular speedometers, the par for most cars thirty years ago, are fortunately long gone. Front seats – even in inexpensive economy cars – are generally very comfortable and have decent lateral support. The flat front seats of yesteryear had a driver sliding back and forth in the driver’s seat in hairpin turns. Not to mention that the seats in most new cars are so comfortable that long driving trips no longer give the body those aches and pains as was the case with long trips in older cars. As great as all this sounds, there are a few areas where new cars have lost their way. One area is interior space. Most new cars today more closely resemble fighter cockpits than the traditional car interior. 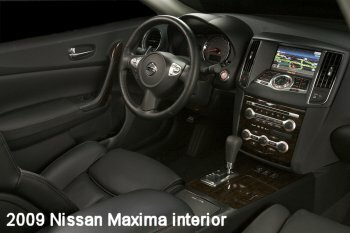 As an example, take a popular sedan like the new 2009 Nissan Maxima. It’s Nissan’s biggest sedan. Its seats are very comfortable with good lumbar support, however the interior cabin for the driver is really cramped. An average-sized adult must twist and slide around the steering wheel to get into the driver’s seat. Once there, one is very comfortable until it’s time to leave the car. Then the twisting and turning starts all over again. Now consider tall and fat people; this twisting and turning is even more difficult for them to execute. These were the type of maneuvers that people had to make in order to get behind the wheel of a sports car years ago, not a family sedan. Many cars now have center consoles which only sports cars and performance cars had years ago. Center consoles are definitely a nice stylish touch however they do a great job of trapping the driver in the driver’s seat. With the center console, gone are the days of going out or coming in through the passenger side door to leave or get to the driver’s seat. This sometimes is necessary, especially when some inconsiderate person parks a vehicle a few inches away from the driver’s side door. Next area where new cars are failing is headroom. As cars have gotten more aerodynamic the roofs have become more streamlined which equates to less headroom. Add to this problem that a lot of new cars have electric powered sunroofs which steal a few inches of headroom. Drivers over six feet tall are finding their car choices shrink year by year. As the trend currently stands, all the cars with ample headroom are being discontinued or are being replaced by cars with less headroom. 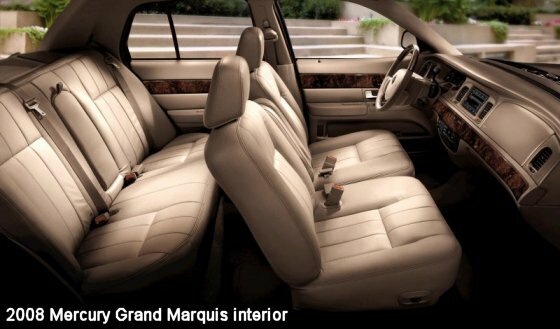 The 2009 Mercury Marquis is one such vehicle; it’s big and comfortable with plenty of headroom and space for six adults. The Marquis will be cancelled very shortly, it’s the last of its breed; inexpensive very roomy cars (its brother the Ford Crown Victoria will also soon be cancelled; currently it’s only sold as a fleet vehicle to such buyers as police departments and taxi companies). If you take a look back to older smaller cars most of these have better headroom than today’s new cars. The long-gone Aries K-car was a tiny car, but it was roomy and comfortable on the inside and had more headroom than most new cars today. A Pontiac Fiero, a small two-seater sports car from yesteryear, had plenty of headroom. A 6’6” tall driver had more than enough headroom in a Fiero, not to mention the interior was very roomy. The 2009 (two-seater) Pontiac Solstice could take a few lessons from the Fiero in this area. The backseats on most cars have also lost headroom over the years. On the positive side, legroom has increased some during this period. For some reason automakers think humans are getting longer legs and shorter torsos as the years progress. German automakers like Mercedes have traditionally made it a point to offer plenty of headroom in their cars. Headroom is slowly disappearing even in German cars. The sleek Mercedes CLS luxury sedan is one larger sedan with enough rear seat leg room but if you’re over six feet tall you need to bend forward in the fetal position in order to keep your head from hitting the rear roof. The steeply raked windshield first appeared on the 1974 Lamborghini Countach and has unfortunately made its way to just about every passenger vehicle in recent years, including many SUVs. The trend will probably continue until the windshield starts at the roof and ends at the front grille. Steeply raked windshields are a nice styling touch and provide excellent aerodynamics however functionally they fall far short. Visibility is not as good through these windshields as with older, more vertical windshields. Most of the new steeply raked windshields tend to have "tree trunk" sized pillars between the windshield and the side windows which create two big blind spots. Cleaning these windshields is also not much fun. Companies that make window glass cleaning solution must love this modern trend to steeply raked windshields. Since the roofs on most new cars are more sculpted and curve down towards the hood for better aerodynamics, the top of the windshield on most cars is lower than on older cars. This means taller drivers are looking almost directly at the sunroof visor. And taller drivers find themselves bending forward like a turtle to see during some driving conditions. Though windshields are growing in size, side and rear glass windows are shrinking on most cars. Since new car roofs are lower and the side beltlines are getting taller – smaller side glass windows are the result. With less glass, visibility is not as good as with older cars especially for shorter drivers. On some cars the window position is so high due to a tall beltline, sticking your elbow out an open window on a nice day (an American tradition) while driving, is impossible – unless you don’t mind injuring your rotator cuff. So what do you do if you’re tall and/or fat and can’t fit in the average car? There has always been the escape to SUVs which traditionally have offered plenty of headroom and interior space – until recently. With automakers trying to make SUVs more car-like, SUVs are losing headroom rapidly and interior space is getting more cramped year by year. In a recent conversation with a Subaru rep, she mentioned that the only car that gave ample headroom for a 6’8” male friend was the 2009 Subaru Forrester (which offers fantastic headroom). Makes me wonder what NBA basketball players drive. Do they stick their heads out open sunroofs while they drive? Or perhaps they rip out the seat rails and place the driver seat on the car floor? There are however a few rays of hope, a small number of new cars such as the 2009 Lincoln MKS have plenty of room for tall and rotund drivers. Even with the MKS’s sculpted aerodynamic roof there’s still plenty of headroom for tall drivers. The trend of shrinking interior space needs to be addressed by automakers, especially considering the upcoming increase in Corporate Average Fuel Economy (CAFE) standards, which will reduce in size most cars and SUVs in the not to distant future. If this growing problem is not addressed, we as consumers could only be left with a whole bunch of very modern styled cars with the interior cabin space of a Mazda Miata. This will be a bad outcome for everyone. « 2009 Washington D.C. Auto Show – Green Confusion?